The plug doubles as a leaf extension when open for extra working space. Machines can be stowed away inside when not in use. 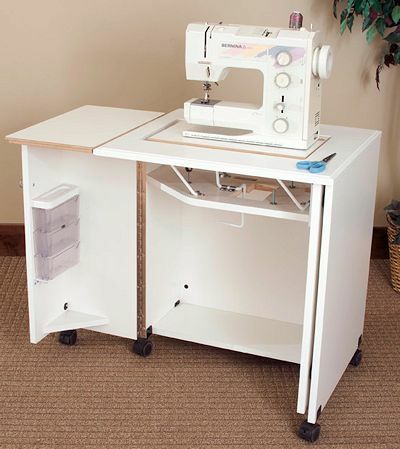 The manual lift accomodates free-arm and flatbed sewing positions. 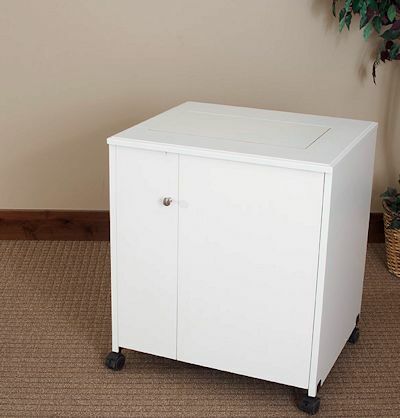 Angled door allows for compact size when closed and ample leg room while open. 7300 Closed, plug installed and machine stowed inside.